AbiWord use XML as its native file format since its inception in 1998, and it was one of the first application to make this use. According to Groklaw, Microsoft filed in 2002 a patent that cover the use of XML as a word processor file format, and that XML would transcribe without loss all the formatting that the word processor apply to the text. I thought that in patent law there was the notion of prior art and that prior art would forbid patenting things that are not new.... Apparently this does not apply to Microsoft, as even 4 years they can patent stuff they did not even invent. At the same time, still according to Groklaw, the common wealth of Massachusetts define clearly the term of Open Format, as they require for their own use. XML Office file format does not fall under that rule. This needs to be watched seriously. With the combined work of uwog and I, Planet AbiWord looks nicer. Thanks to Alan for link, Detroit News has an article about MacMini that praise AbiWord. There have also been some debate about AbiWord UI and its customizability. Martin suggest modifying the code which is a starting point, but I'm convinced that we should provide the infrastructure in AbiWord to customize the UI on the use side. Luis Villa provide some insight about Pages from Apple (that I haven't yet had the time to play with), notably comparing toolbar clutter, and how to handle text formatting, points on which dom seems to agree. Havoc also talks about Pages and how it handles styles; interesting too. Looks like for 2.4 there is work to do, or to start. There have been a debate about equation editing. Martin implemented LaTeX editing while Ben Maurer suggest looking at TeXmacs for a WYSIWYG editor. 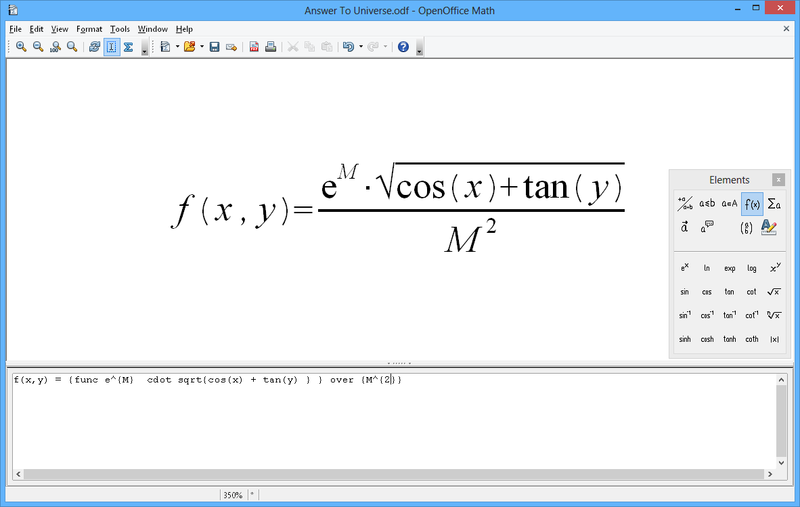 On the other side James Henstridge suggest to look at the OpenOffice equation editor that Martin is not familiar with. The other approach is the WYSIWG approach as offered by MS-Word, and that TeXmacs implements, that we should offer, as a frontend of the native equation format we use: MathML. It has a low learning curve, but is not really for productivity as in that case keyboard input is way faster. Bonus point by implementing direct MathML edition which should be quite easy. Planet AbiWord is up with PlanetPlanet. Thanks to uwog for the setup. I still need to enhance the look, for that I need to learn CSS the hard way. enough to report that there were still nasty bugs running around. All users are advised to upgrade to this new version. Fedora Core drops AbiWord and Gnumeric to "Extras"
So Fedora decided to drop AbiWord and Gnumeric to put them in the "Extras". Thank you Fedora for sabotaging both the best spreadsheet and the only free cross-platform wordprocessor (yes, OOo still do not run on MacOS X without X11, and is not about to do so). At least, that remove one thing on my list of distributions to try out.